DactyScan40i from Green Bit is an optical fingerprint reader for capturing single and dual flat fingerprints, and single rolled fingerprints. The device is certified by the FBI as compliant with FBI IAFIS IQS CJIS-RS-0010 (V7) Appendix F and FIPS-201 / PIV. 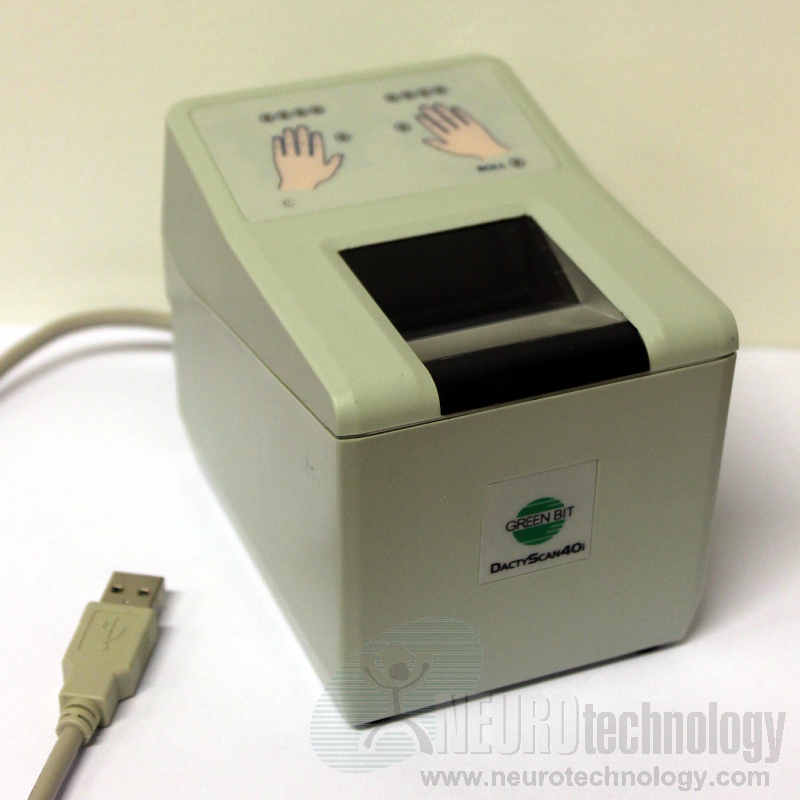 Buy DactyScan 40i at Biometric Supply – a subsidiary of Neurotechnology.